Elegant ships decanter handmade in clear crystal glass with matching rounded stopper. These 1ltr capacity decanters can be engraved to create a personalised gift, and are offered with an optional satin lined presentation box. A classic ships decanter, handcrafted in clear crystal glass and offered with low-cost engraving. These 1ltr capacity decanters have a wide base and are ideal as wine decanters as they allow a broad surface of the wine to be exposed and to 'breathe'. By adding a name or message, or event details, you can create a unique personalised gift for a wine lover that is sure to be appreciated every time they use the decanter. 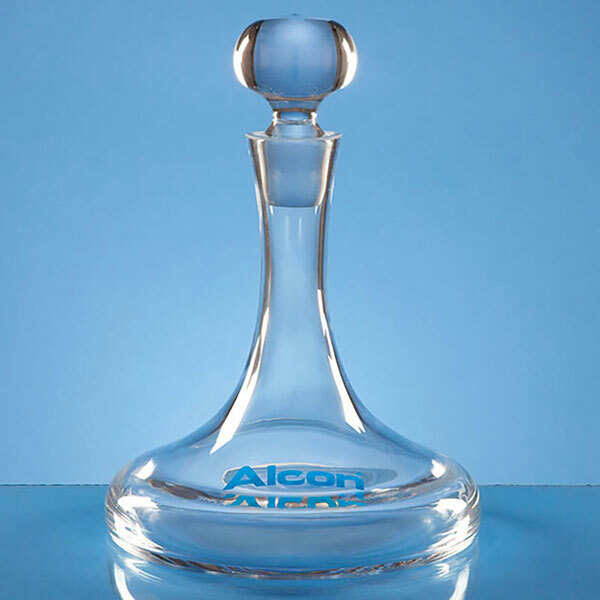 Engraving will be placed on the clear glass of these decanters. 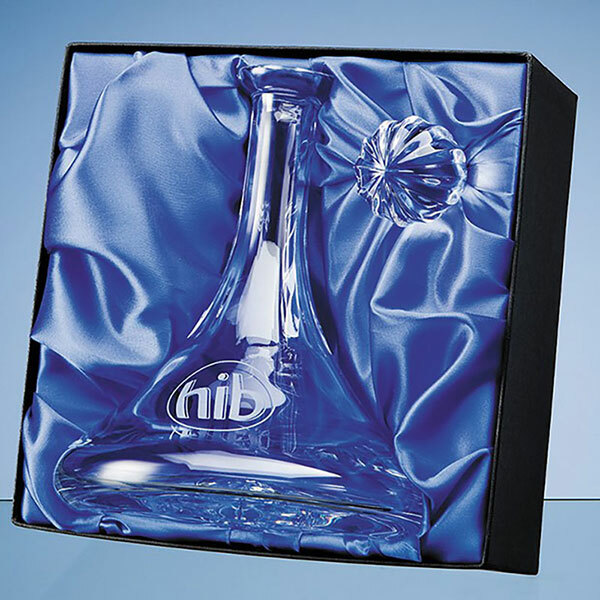 An optional fitted and lined presentation box is available for your engraved ships decanter. Capacity: 1ltr. Weight: 1.4kg. Height: 270mm. Diameter: 195mm.